HOT! 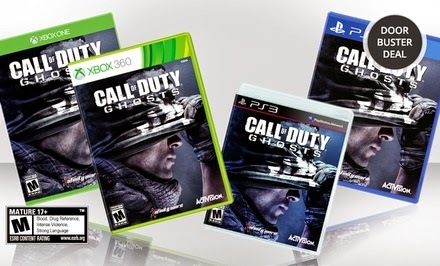 Call of Duty Ghosts: X-Box One, X-Box 360, Playstation 3 & Playstation 4 $39.99 Shipped! This one is on my son’s Christmas List. You will want to hurry and grab this deal as it is likely to sell out fast! Get Call of Duty Ghosts for X-Box One, X-Box 360, Playstation 3 and Playstation 4 for only $39.99 (Reg. $59.99) with FREE Shipping! Previous postSanta Portrait Package @ Hulen Mall 35% Off! Next postMedieval Times Dallas Castle All Seats $25 (11/26-11/27)!